But who will tell us to mind the gap? London Mayor Boris Johnson has revealed that London is set to get driverless trains on a number of its busiest lines, with the Northern line set to be fully automated by 2014. 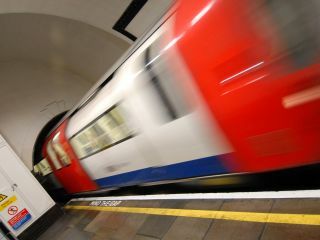 Driverless trains are already in place on the Underground and can be found on the Victoria, Central and Jubilee lines. Despite being automated, however, these trains are still manned. But this is set to change if Boris is to get his way. This is according to the Evening Standard, which had an interview with the Mayor about the automated plans. Interestingly, it seems this evolution in train technology hasn't been sparked by a need to innovate but to reduce the power the unions have over London's train network, with Johnson explaining: "I don't want to sound confrontational but if there's going to have to be a fight over this then I'm the person that can do it. "I want to stress that in making these reforms of the Tube, I believe it's going to be possible to work with the unions. There may be some union bosses who won't agree but I'm not funded by them and I'm not supported by them." Alongside the Northern Line, the Metropolitan, Circle and Hammersmith and City lines will become full automated by 2018. According to Johnson, the tube trains will still have staff but instead of a driver it will be a "train captain" – which is what the DLR has at the moment.